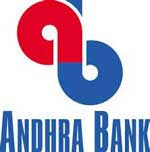 Andhra Bank Recruitment 2018 – 40 Part Time Sweepers Posts:- Andhra Bank has issued notification for the recruitment of 40 posts of Part Time Sweeper on 1/3rd scale wages. Interested & eligible candidates can apply in prescribed application format. Last date for submission of application is 05/02/2018. Age Limit: Candidates should be in the age group of 18 to 25 years as on the date of notification. Educational Qualification: Pass in 8th class or its equivalent. Should not have passed 12th class or its equivalent. Should have studied local language as one of the subjects in 8th standard. Last Date for Receipt of Applications : 05/02/2018. How to Apply: Interested eligible candidates can send their application in prescribed format along with all necessary documents to concerned Zonal Office. Last date for submission of applications is 05th Feb 2018. Click here to Subscribe our Free Job Alert Mail Service for Andhra Bank Recruitment 2018.